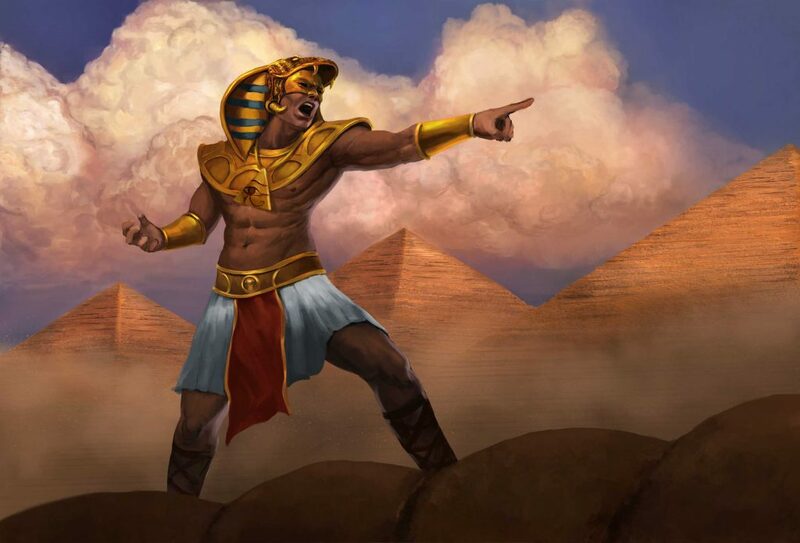 This week we take a look at the multitude of options for spellcasters from the Nile Empire. There are three different “types”: mathematicians, engineers, and pulp sorcerers. The first two we’ll preview here. Pulp sorcery will come NEXT WEEK! *cough*. Sorry. One of the challenges in updating the Nile Empire was taking elements that were infrequently used, or clunky and making them interesting and useful. Astrology (referred to in Original Torg as astronomy) as done previously is gone. It was just too clunky and time consuming. However, that doesn’t mean that the influences of astrology are no longer part of the Nile Empire. Originating in the traditions of numerology and astrology mathematics specializes in divination. Further discoveries utilize the science of waves. Mathematics is not flashy, but if you’re someone who likes to use the ability to see into the future to enhance the present, or mess with numbers, this is the arcane tradition for you. There aren’t many spells that play with dice rolls as much as one by four by nine. Like Mathematics, Engineering utilized the power of numbers and the planets when early engineers realized that pyramids reflected the power of numbers, specifically 2 and 3. There are four visible sides of the pyramid (2 squared), eight edges (2 cubed), and five vertices (the sum of 2 and 3). Like Mathematics, this tradition isn’t very flashy and generally isn’t used to attack people, but for exploration. If you’re someone who wants to know the map of a building, or where traps are, or creating traps yourself, you want to be an Engineer. Engineering also supports some ‘behind the scenes’ magic involving construction of buildings and other infrastructure. The Great Nile Railway connecting the Libyan oil fields to Alexandria and south to Nairobi was finished in only three months, a feat impossible without the efforts of the Society of Engineers. 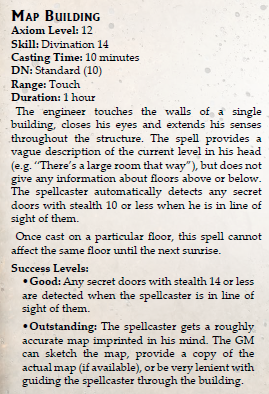 Buildings can have maat matricies that allow spells and miracles to be bound into the structure, and cast or invoked using a was scepter…even if the character can’t normally cast spells or invoke miracles! 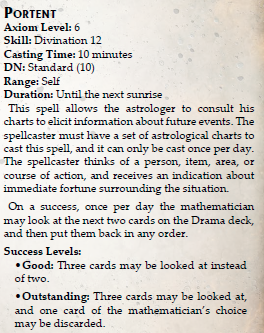 Both arcane traditions have Perk Support as well including accessing both Mathematics and Engineering spell lists, re-rolling certain numbers while casting a Mathematics spell, or quickly creating traps. It’s even possible for a master astrologer to learn a spell that is contradictory in the Nile Empire, along with another benefit. Finally, here are a couple sample spells, one from Mathematics, and one from Engineering. As always, the best place to talk about these previews is on our forums! One by Four by Nine. Now that’s clearly going to be a monolithic spell. Except that it can only be used 2001 times.